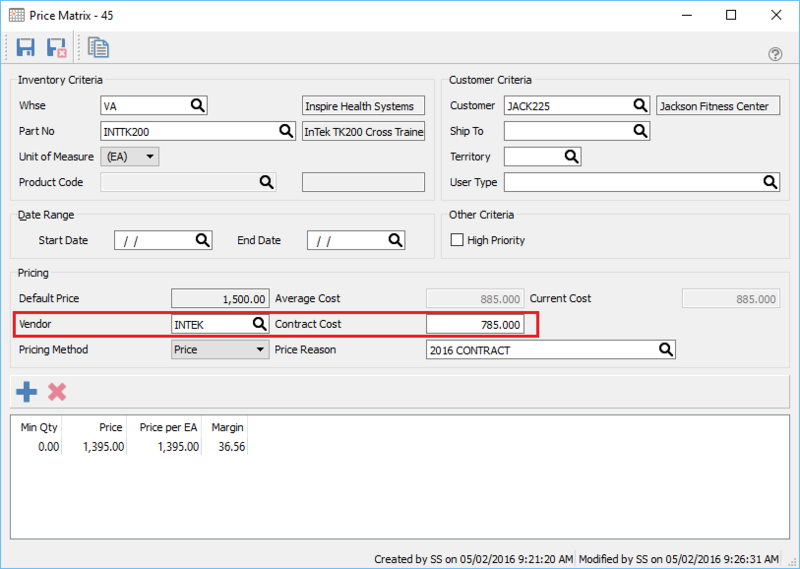 The contract cost option in price matrix allows the cost of an item to be set for a customer or group. 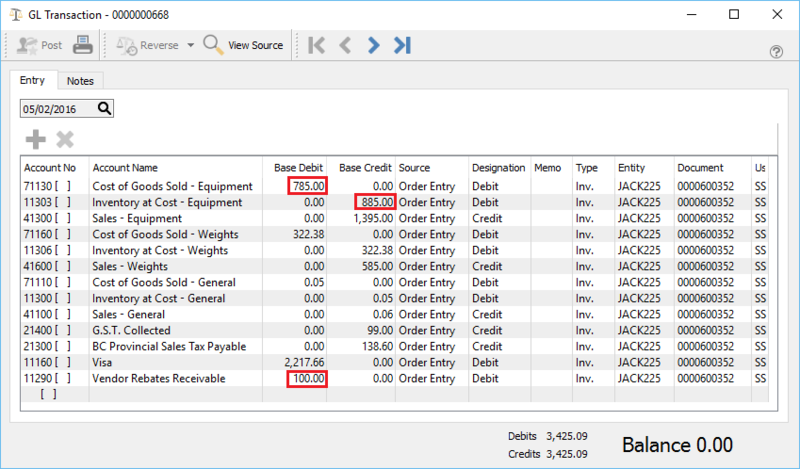 The true margin is shown when the item is sold to the customer and the inventory GL account is credited with the amount that was paid for for that inventory item. Using this feature requires some setup. 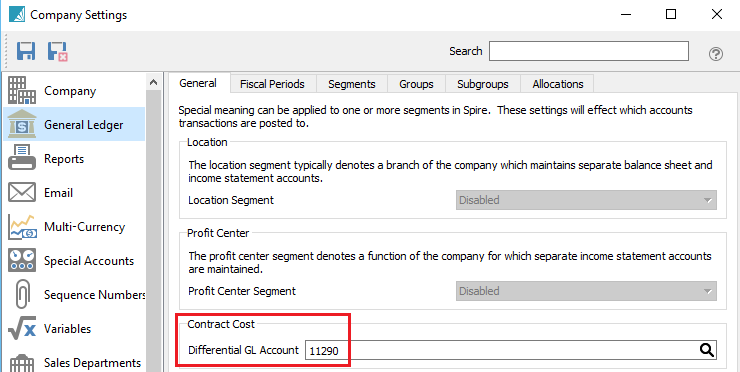 In Company settings a GL account can be selected to post cost differences when using contract costs for customers. Entering a differential account activates the feature. 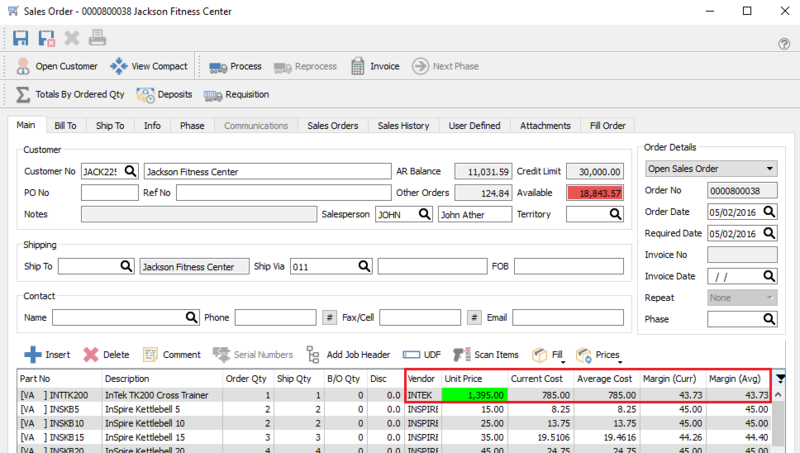 The vendor and vendor cost fields only appear on price matrix records if this differential account has been configured. After setting the item and the customer or group, select a vendor and the contract cost the vendor will give for this customer. Then set the price the customer will pay for this item. When this item is sold to the customer the cost and the sell price will come from the price matrix record. It will show the contract cost and the margins based on that cost. Once the invoice is posted, here is the journal entry that will be made. Note that the $100 difference is posted to the ‘Vendor Rebates Receivable” account set in company settings.